This session was more than i expected. I left the training feeling completely excited and geeked up about the student success and achievement possibilities. Ms. Olenka Cullinan’s welcoming and positive spirit was infectious, and he passion for the content resonated troughout her presentation. Having moved to the US with $450 in her pocket, Olenka has lived through about every “I-can-never-be-successful-because” excuse a human can make. She teaches youth and adult influencers to stop preparing for the perfect moment and start doing instead. She ignites brands to be great innovators in the Millennial and GenZ marketplace. stop preparing and start doing! Yes, Olenka started Rising Tycoons to teach future leaders the “how-to” of success and that if skills are learnable, Success is learnable too! If you don’t believe that we live in an anti-failure conditioned society, think of all the things you did not do in your life because you were afraid to fail! Fact: when you drive somewhere, you figure out your final destination first, then calculate the trip. Is that how you live your life? Stereotypes?! Discover how to empower young girls not to be “one of the guys” in STEM and what it takes to become a STEM role model for all students. This was pretty amazing to watch as [Olenka] successfully managed to cross both cultural and gender barriers with her presentation. She held the audience spellbound… Students wanted to learn and do more because they felt empowered, capable and motivated to make changes. I loved your passion and enthusiasm and had to email you immediately…which was 2 minutes after you finished! …I think it will be the difference between us being just having a good program and us having a great program that impacts young ladies where it changes the course of their lives. ‘hope and possibility agent.’ It is 100% about lives touched in a positive way, and spreading more Girl Power! Do you need a real Passionista to inspire the next gen of #girlbosses into Action at your school, college or business? Do you know a girl or a group of girls who need help with turning their dreams into a dream life? Do you need the Millennial generation motivated in your business? Are you looking to boost your young ladies’ self esteem? 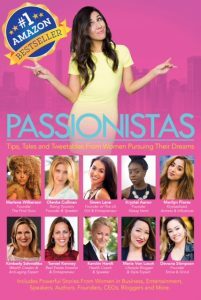 Olenka has co-authored a best-selling book, Passionistas: Tips, Tales and Tweetables From Women Pursuing Their Dreams with incredible #girlbosses, including CEO’s, founders, influencers, entertainment giants, and more sharing their authentic stories. into a dream business, attitude and lifestyle! Inspiration, dedication, persistence towards a self-directed destination is the passion that secures results. Passionistas: Tips, Tales and Tweetables from Women Pursuing Their Dreams teaches that with joy and insight. Inspire a future Passionista in your life! 20% of all proceeds will bring more underprivileged youth into Rising Tycoons Programs! 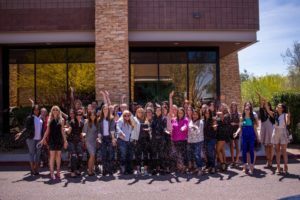 inspire your #girlbosses and #ladybosses?! 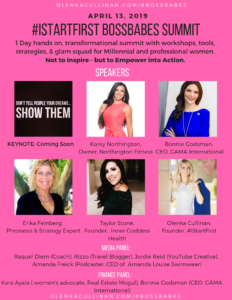 #iStartFirst Bossbabes Summit is a sparkle-filled 1 day event of non-stop growth on April 13, 2019 in Phoenix, AZ for Millennial and passionate women who are ready to start! iBS features interactive workshops, authentic speakers, high-level networking, glam moments, and the opportunity to be a part of the Sparkle Tribe! This is for any Bossbabe who is looking to be equipped with the CEO-skills, increase profitability & performance, and forge life-long connections and turn her dreams into a dream lifestyle! Olenka’s expertise lay in her ability to simplify long-term, big picture plans into smaller, digestible steps to create a very clear roadmap to success. Her credibility, authenticity, and passion to help others is evident in all aspects of both her personality and work. I highly recommend working with Olenka, as her group and being a part of the Sparkle tribe has allowed me to achieve more personal and professional goals faster than I ever could have by myself! I HAVE ATTENDED 2 BOOTCAMP SESSIONS WITH OLENKA AND I AM PROUD TO REPORT THAT JUST 2 MONTHS SHY OF MY COMPANY’S 1 YEAR ANNIVERSARY, I AM 78% TO GOAL FOR MY FIRST YEAR. A HUGE PORTION OF MY SUCCESS COMES FROM THE COACHING OF OLENKA’S BOOTCAMPS. Are You Ready to Start & Sparkle Up? Don’t miss the Summit and your opportunity to meet other Bossbabes, experts and influencers & become empowered to start anything you desire! Need help with your passion path? Your brand’s identity? Olenka’s experience with youth and millennials combined with her tested training and leadership skills as well as her keen eye for the “coolness factor” brings creativity and relevance to help you and your brand to level up in the market place. Join Olenka for a bootcamp!